I was so happy to sit down for a coffee with Adam McKim. After lifting weights beside him for months, everything clicked when I saw a news piece on Chat to the Future … hey! I know him! What CHAT is doing in Uganda is … epic. Connecting kids with kids over the internet. Sharing stories, songs, letters and activities. Not to mention the financial support of the orphanage. Please, read on and learn a bit more. Click here to visit their website if you want to learn how you can get involved. First and foremost I’m a husband and a dad – identical twin 5 year olds and a 7 year old, all girls. After that, I’m the founder and ED of CHAT to the Future Inc. and a teacher at Saint John High School. I coach summer soccer for six year olds and fall soccer for the SJHS JV team. I’m a movie buff and a bit of a global news junkie. 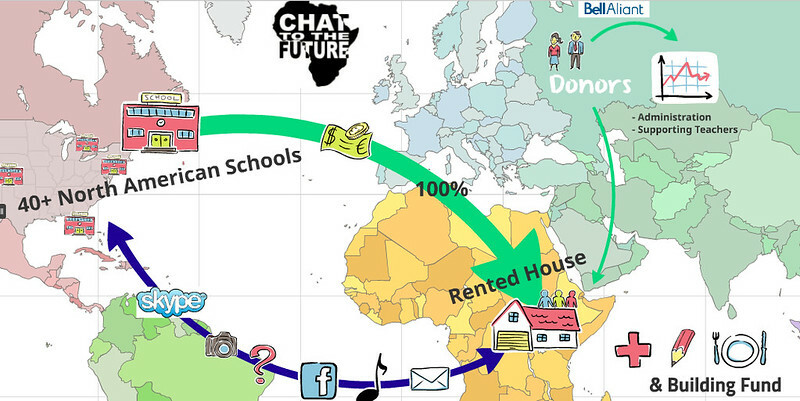 CHAT stands for “Care and Hope through the Adoption of Technology” and “to the Future” stands for our forward looking optimism and focus on children – specifically North American students and the 17 kids at the orphanage that, collectively, these now 45 schools (and a few families) fully fund. Each school receives regular updates, photographs, videos, learning resources, and at least two live Skype sessions to CHAT House per year. During these sessions, kids from New York City or Toronto or right here in Saint John get to talk, sing, dance, or play show & tell and Simon Says. One Halifax school took a tablet outside this winter and they all built a snowman together! Where did the name CHAT to the Future come from? I was mowing a really big lawn and my brain thought of nothing else for about two hours. I guess I’m also a fan of acronyms and Michael J. Fox movies. How did chat get started? Before it was CHAT, the work in Uganda was simply a unique class project that my World Issues students wanted to pursue following a visit from a guest speaker. 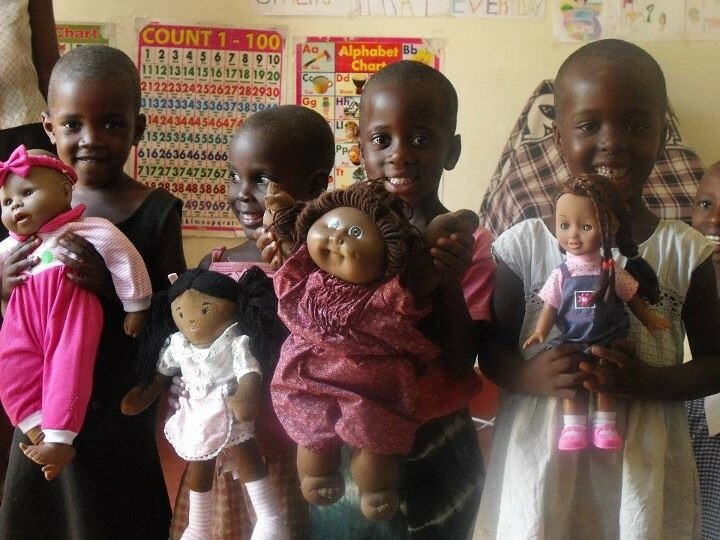 We sold Ugandan beads, sent the money over directly, and would receive photographs of purchases, receipts, and appreciative orphans within days. At this first project, the director suggested a Skype session one day and I remember thinking, “Well, that’s not going to work.” But who was I to say no? I didn’t even tell my students that we would be trying it, nor had I ever used Skype before! What followed was the most powerful thirty minutes that myself and my students had ever experienced in a classroom. The kids from the photographs were talking with us… singing to us! We sang back the only two songs that we collectively knew: Oh Canada and Happy Birthday!! It was so powerful that I felt I had to share it with as many teachers and students as possible. That was the spring of 2010. That fall we had our first CHAT schools join the team and by November of 2011 we were a registered Canadian charity. What are the challenges with skyping to Uganda? What hurdles have you had to jump over? In the early days we relied on USB modems and weak cellular connections. Our success rate for school connections was under 75% and multiple dropped calls was common. In January of 2013 we upgraded our small orphanage near Kampala to a wireless system at a cost of about $200 (and $20 per month thereafter). We were unable to afford this upgrade previously. Our success rate is now over 90% and most of the tech failures, ironically, originate at the school level in North America. Their firewalls are a hurdle that we continue to work through, but dropped calls are now pretty rare. Another challenge is the state of our second-hand laptops. One is broken, the other seems to be dying, and replacements in Uganda are FAR more expensive than they are here. If your readers are looking for a handy excuse to buy a brand new laptop and donate their old one, look no further! Tell me about the school and the kids there! Buyinja Primary School is a five minute walk from our House and has approximately 400 students that pay tuition and other expenses amounting to about $300 per year. 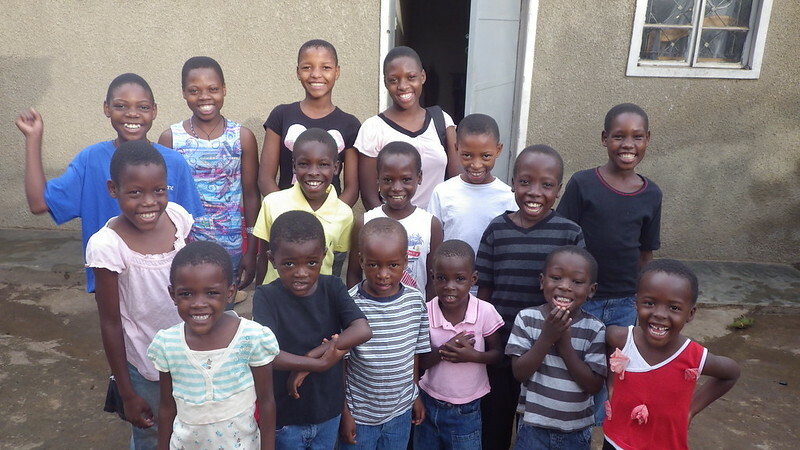 All but one of our 17 children attend from 7am to 5pm. 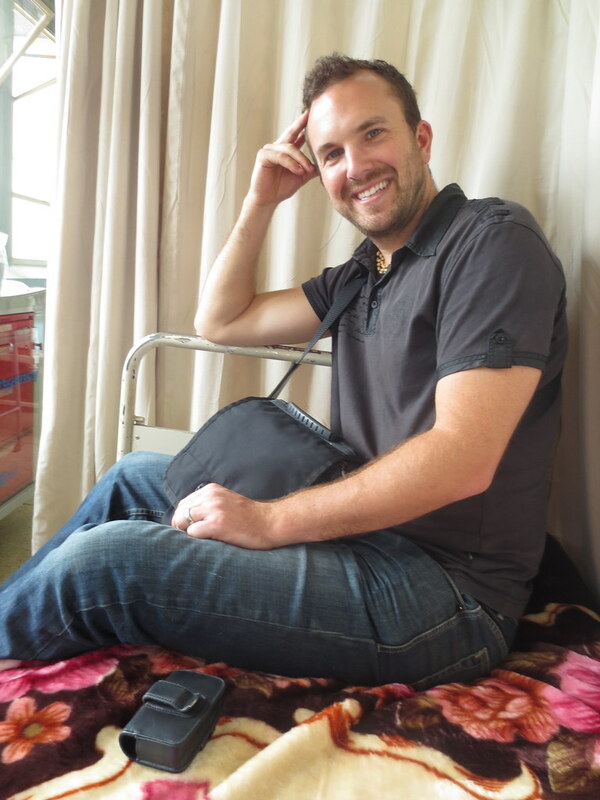 (Andrew goes to secondary school) Three times per year we receive digital copies of their detailed home reports and share them with CHAT schools, donors, and friends. Thanks to their dedication, grit, and the support of Naomi, our live in teacher, our kids collectively place in the top 25% of students, despite missing multiple years of education due to extreme poverty. Our kids are goofballs who like to make up games, sing constantly, and meet with new people around the world. They also have plenty of chores to do around the house, so they are only able to Skype from 6pm to the 7pm sunset on Mondays, Wednesdays, and Fridays. How do schools get involved? How can a new school get involved? Schools usually hear about us through word of mouth, social media, news stories, or the Skype in the classroom web service. Getting involved is as simple as sending us an email, receiving the digital information packet, and committing to a $300 fundraising target to support one aspect of one child’s life. What does CHAT support at the school? We don’t currently support the school (except by sending them paying customers every day). Meeting the living and learning needs of each child in our care costs approximately $1200 Cdn per year. One family or school, for example, may decide to target Micheal’s share of the rent for six months of each year. 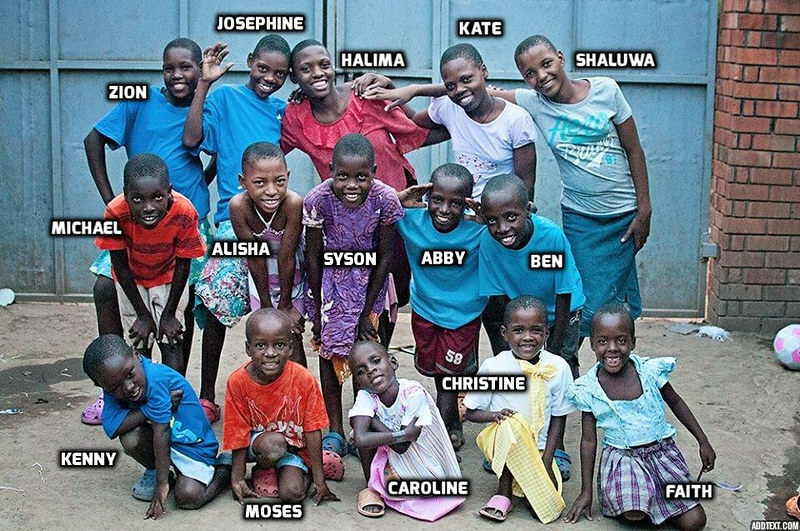 17 kids. 4 sponsorship slots each. We don’t have many slots left, so some schools decide to invest in the House more generally, which has allowed us to, among other things, buy a fridge, arrange for regular medical visits, lease a garden, or even rent some grass for a soccer game on more than one occasion. 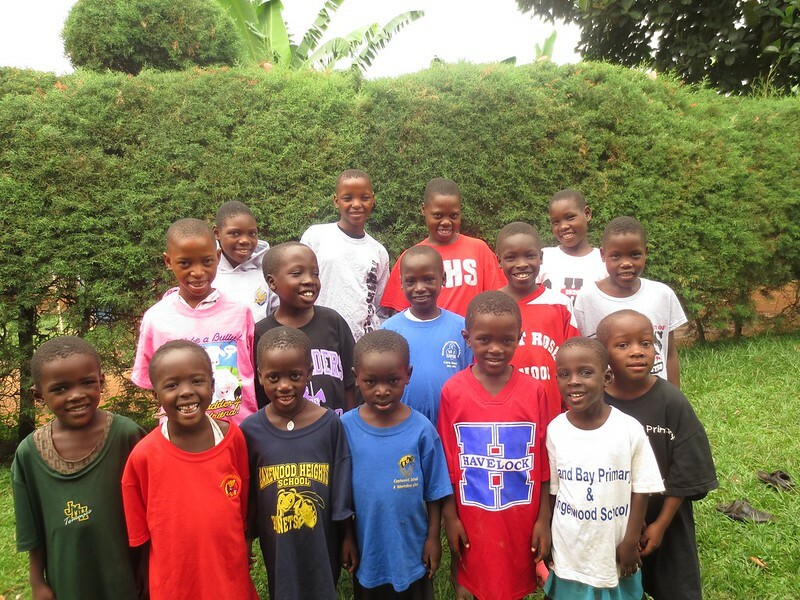 Our commitment is that 100% of school-raised funds is spent on the ground in Uganda. What’s a typical day like for you? What about your dream day? Ha! A typical day? School teachers and parents of three young ones will tell you there’s no such thing; I’ll say the same for running a charity. Really, it’s only possible because I was never, ever alone in this. That was true when it was just my first class of SJHS students. It’s even more true now that 100+ teachers, advisors, board members, and volunteers devote their time and talents to our work. My dream days are common, actually. I get to be a guest speaker at a distant school via Skype and watch as almost every hand goes up. I check my Skype app during the designated hour and see the beautiful two green checkmarks that confirm another scheduled connection is in progress. Maybe hockey is being explained in full gear or perhaps someone has brought in their violin. I find out about it later with emailed photos and videos that get shared and shared on our social media networks. People are smiling. Kids are learning. Stereotypes are broken. Lives are being improved, here and there. The CHAT team gets to enjoy a lot of dream days. 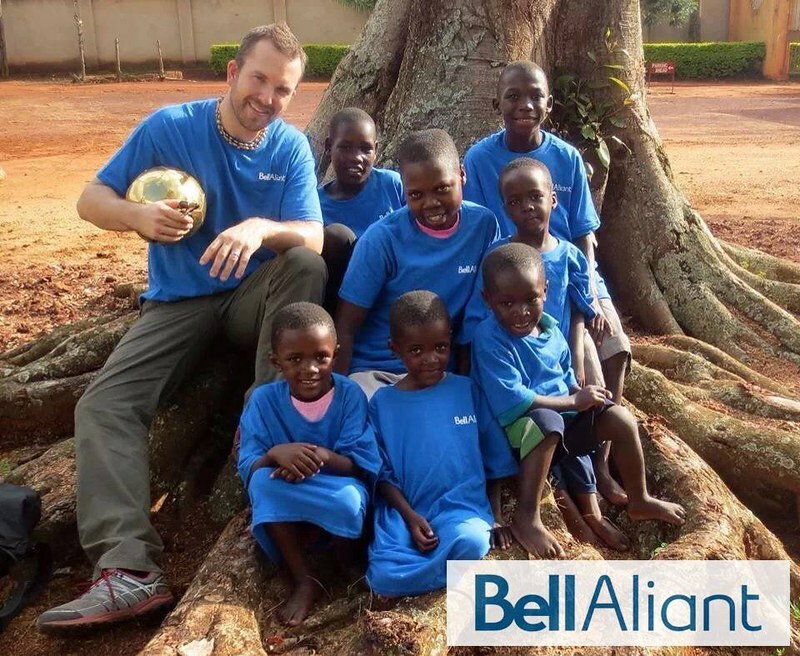 After a six month leave from teaching -funded by generous donors in Vancouver, Bell Aliant, and the Government of New Brunswick- I’m returning to my status of CHAT volunteer and am back in the classroom this fall. But, first, I took my second trip to Uganda at the beginning of August. There are school t-shirts and student artwork to deliver! (Among other priorities) August will also, thanks to Minister Jody Carr and his Department of Post-Secondary Education, Training and Labour, see us hire an Entrepreneurship Mentor to develop new relationships and business skills at New Brunswick High Schools. This $204,000, 22 month project marks another big step for CHAT and we are hopeful that this and other initiatives will lead us closer to our learning goals here and our development goals in Uganda, which include owning our own property and securing post-secondary educations for each of our children. They dream big these days. Learn more about Chat to the Future here. Follow along on Facebook and on Twitter….